Named patterns have really raised the bar with their newest pattern collection. Evolution Theory contains shirt dresses, beautiful tailoring and the most modern split hem oversized jumper. Add to this the BEST tunic dress I have seen to date and you have a wearable, trend driven wardrobe just waiting to be sewn up. For any of you who have previously sewn with Named patterns the best bit is that they have started adding seam allowance to their patterns so no need to add these at the cutting out stage. See the full pattern collection here. Or scroll down to see my top picks with fabric suggestions. 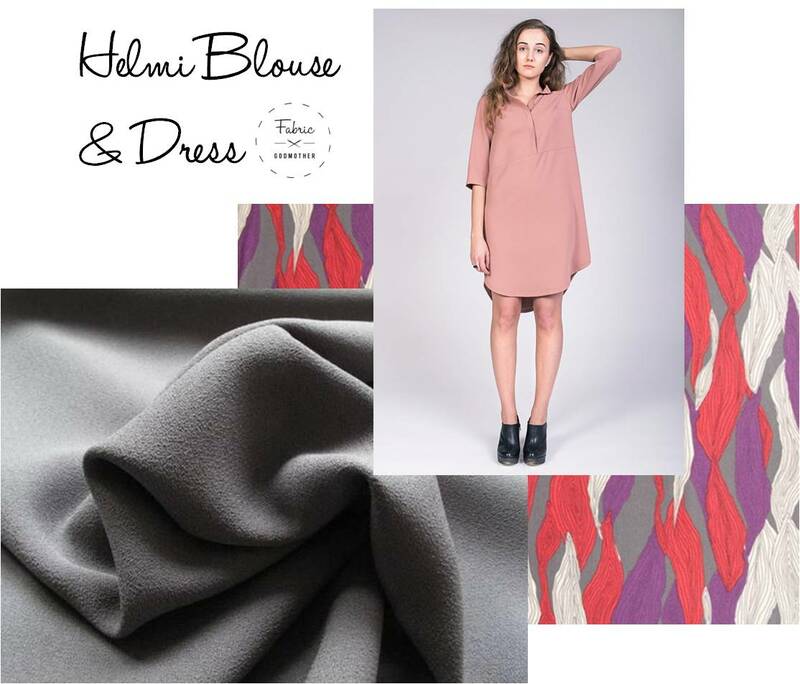 Helmi is a sweet blouse or tunic dress pattern. I think this is my favourite pattern from the collection and I would make it up in simple Gunmetal Prestige crepe or for a more dramatic version use the Afleur crepe in grey. Pilvi coat dress features a fabulous double breasted fastening. Made in comfy roma jersey this is the perfect ‘look smart but feel like I’m wearing my dressing gown’ dress. Our Rose roma jersey would add a feminine twist and our Andi stripe jersey would strike a bold statement. 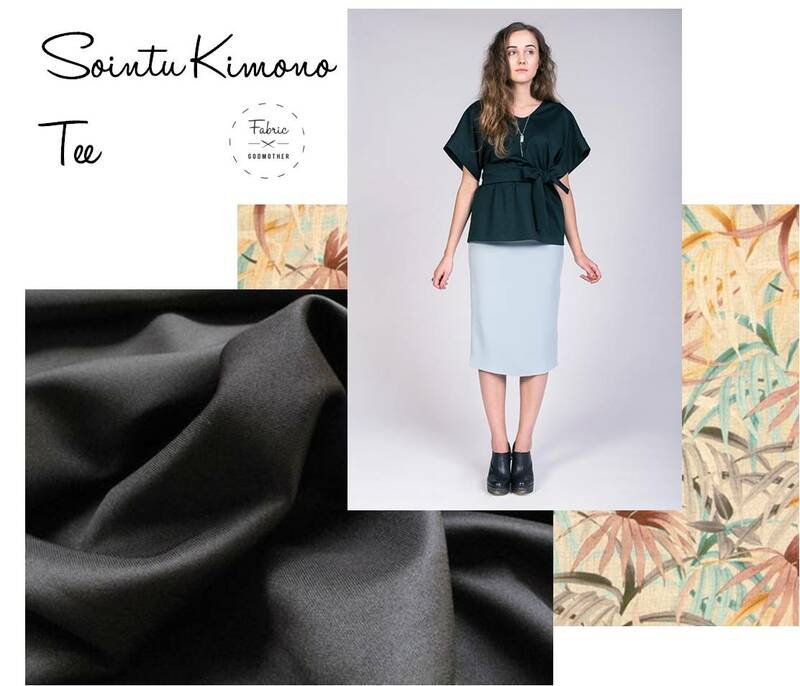 Sointu Kimono Tee is a great beginner project. Take you outfit from the office to the bar with this simple tee in jersey in Black scuba. I’ve selected the Paume jersey for a more relaxed patterned version. 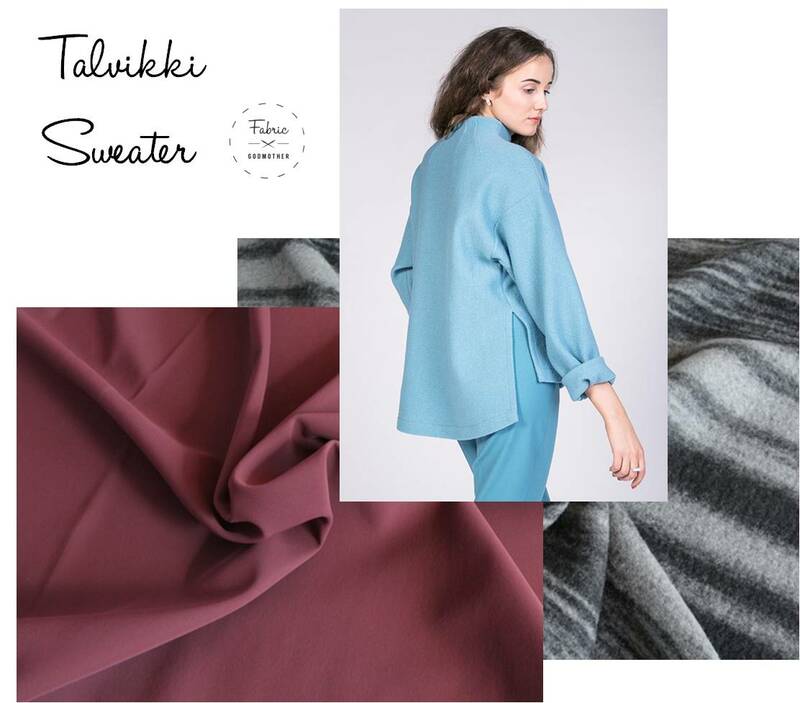 The Talvikki oversized sweater features a split hem and a darted turtleneck. Pick chunky Ouzo boiled wool for super cuddles or use a 2 Tone scuba to make this sweater sleek and sophisticated.